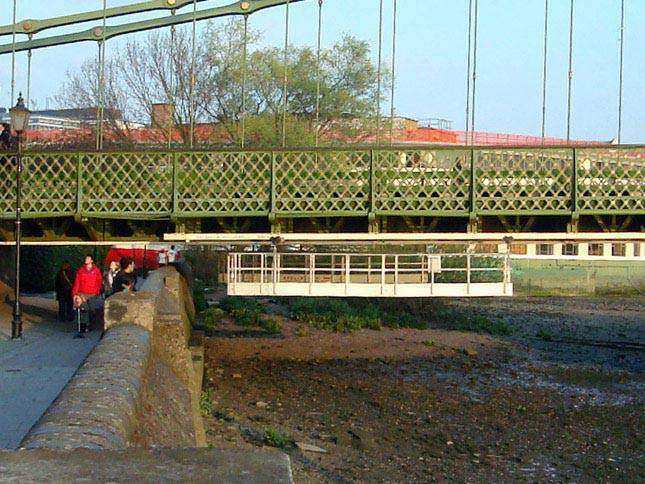 The Grade II listed Hammersmith Suspension Bridge which crosses the River Thames in West London has had frequent tests done by Apollo on its permanent runway beam. 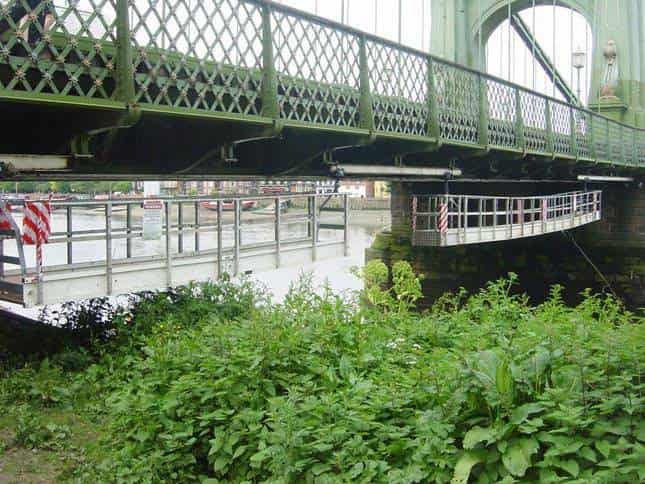 The bridge has long suffered structural problems and has been closed for lengthy periods on several occasions due to the weight and volume of road traffic now common in inner London, which the bridge was not originally designed to support. 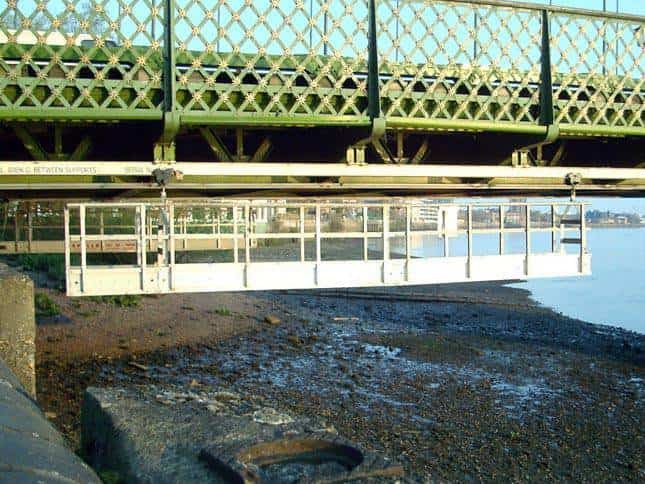 After conducting tests we identified a problem with the runway beam after it was hit by a boat which was corrected by replacing part of the beam and changing all the bolts. 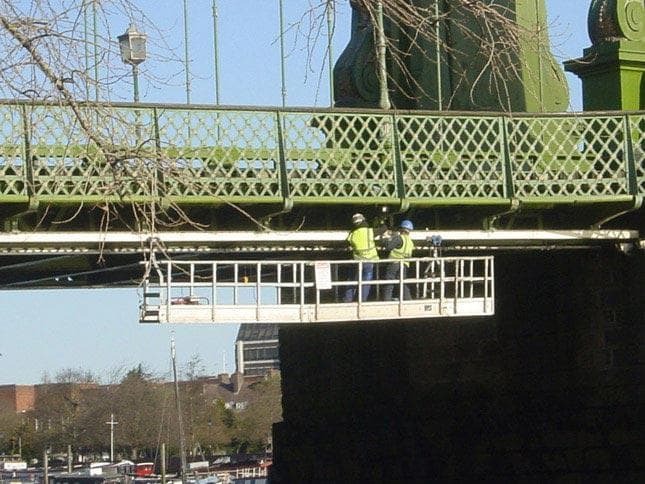 Repair of accident damage to Hammersmith Bridge, West London. 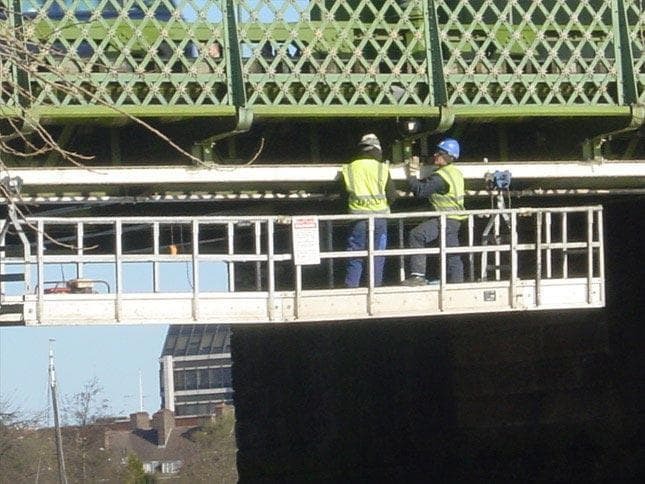 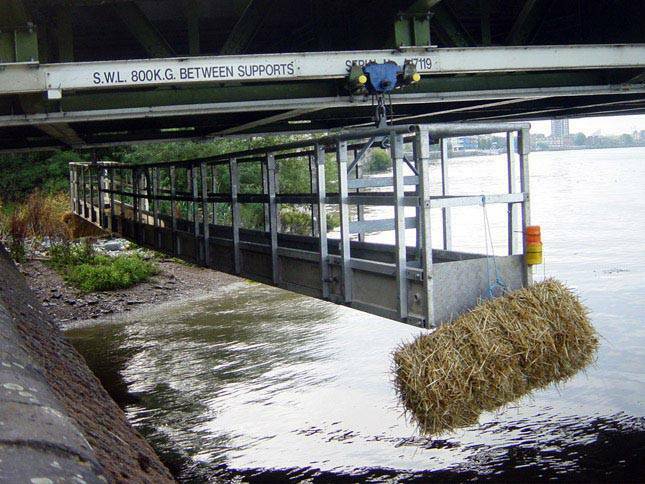 Hire, delivery and installation of 14 metre cradle underneath bridge on push trolleys for mobility and maximum coverage beneath the bridge. 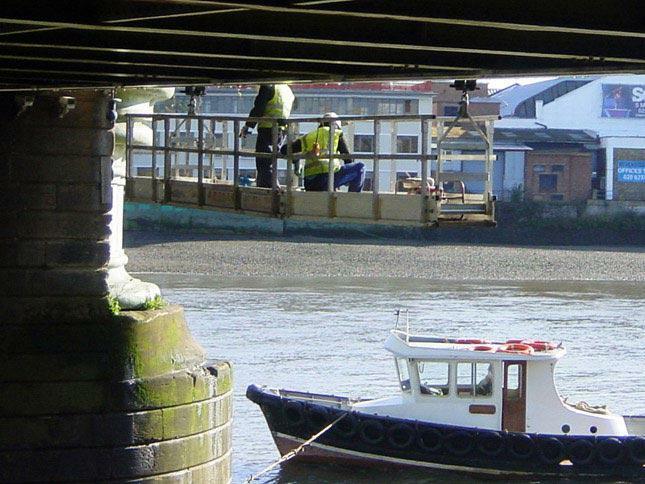 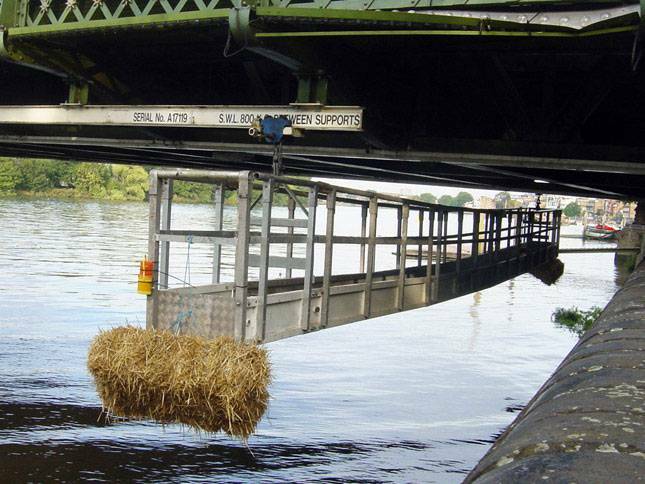 Working over water (River Thames). 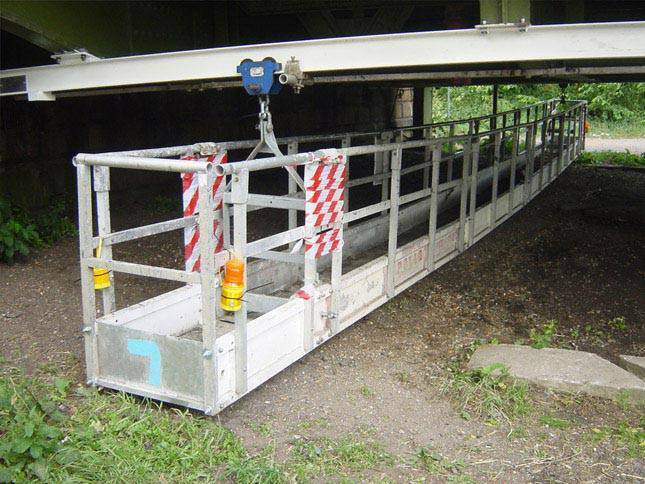 Cradle position movement required. 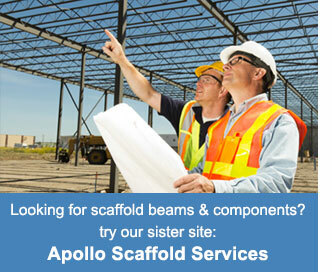 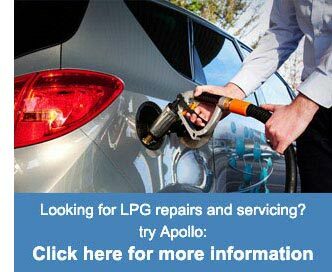 If this access solution meets the needs of your project, contact us to see how Apollo can help you.